Ford Motor Company is on the offense with a new Ford F-150 commercial spot that takes digs at its redesigned competitors. The company is rolling out the new ad in an effort to reaffirm the F-150 as the “top dog” of the half-ton segment. The 30 second commercial was developed by agency GTB and reiterates that the F-150 offers best-in-class payload and towing capability. Despite the obvious competitive play here, the ad never mentions the redesigned Ram 1500 or Chevrolet Silverado by name. Instead, Ford opts to just keep calling the F-150 the “top dog” complete with a dog in the creative. The F-150 has been the best-selling truck in the United States for 41 years. 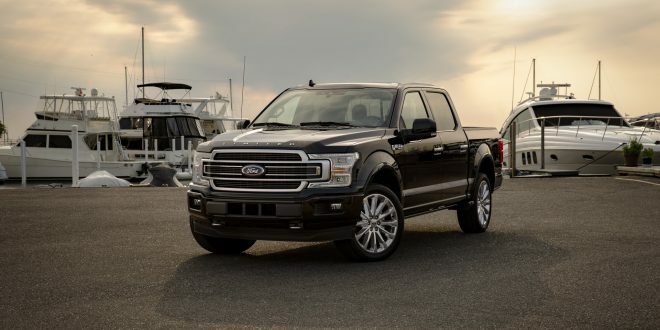 Despite the long-term title, the truck is facing increasingly stiff competition from completely redesigned versions of the 2019 Ram 1500, Chevrolet Silverado and GMC Sierra. While Ram has been on the market for a few months, the new GM trucks are just beginning to hit the market. It will likely be several months until any impact the redesigned trucks have on F-150 sales is noticed. For now, Ford F-Series sales are up nearly 5-percent for the year.